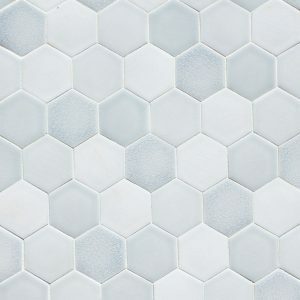 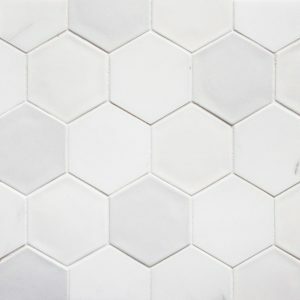 Hexagon 2″ mosaic is ordered by the square foot. 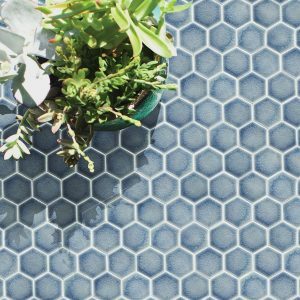 It is assembled into sheets approximately 13 1/2″ tall by 11 3/4″ wide (1.19 square feet per sheet). 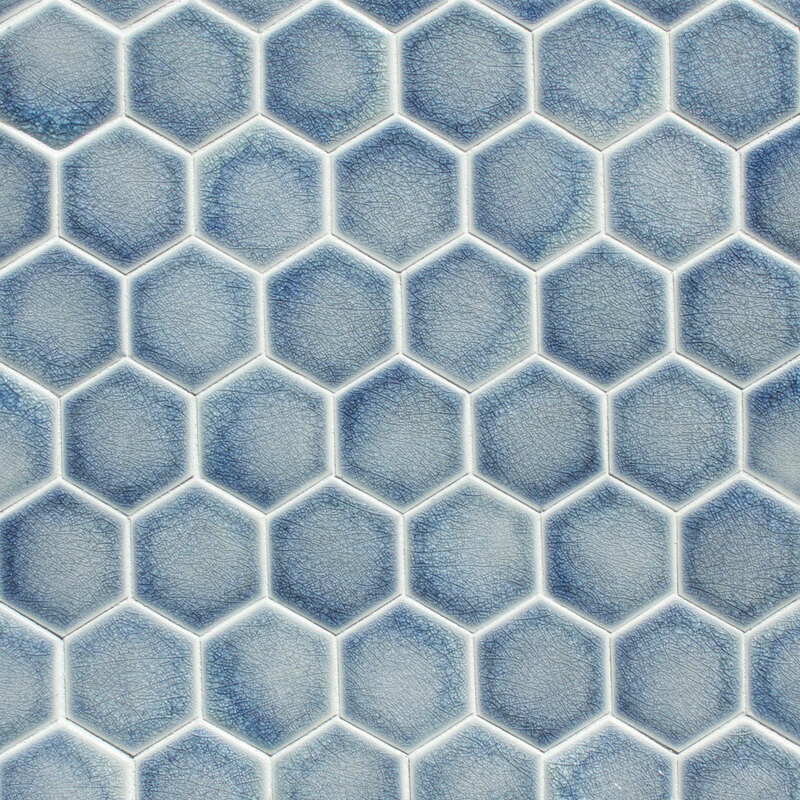 Hexagon 2″ mosaic is shown in Atlantic crackle. 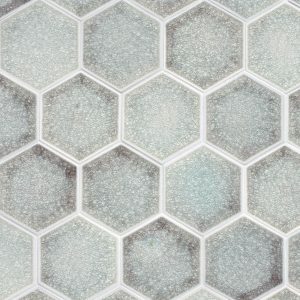 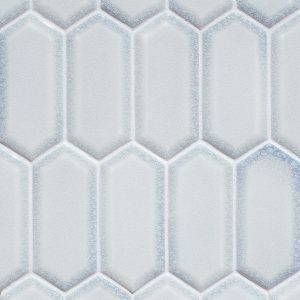 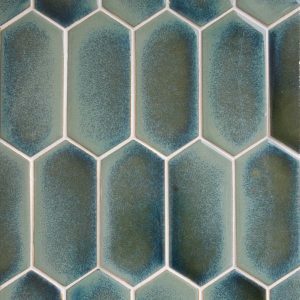 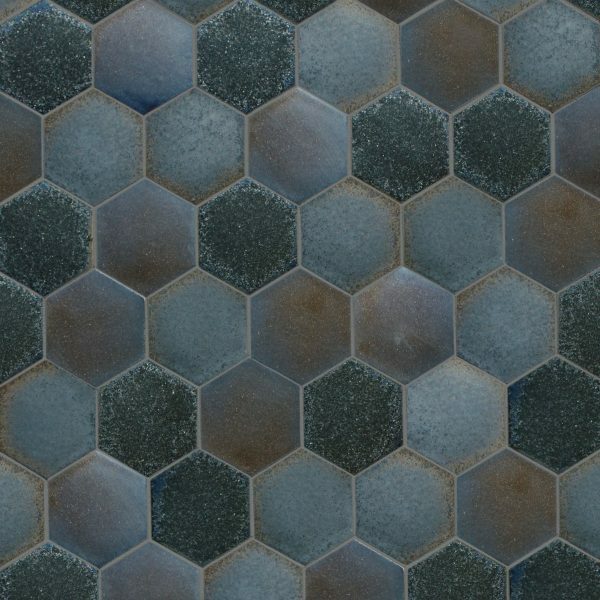 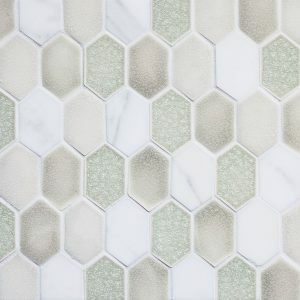 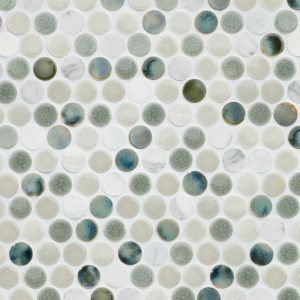 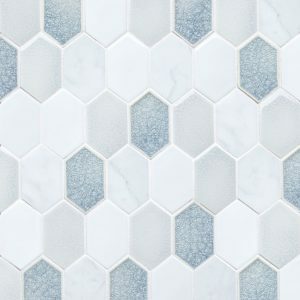 Hexagon 2″ mosaic is shown in Bali crackle, Hydrangea sheer, Robin’s egg sheer and Alabaster sheer glazes. 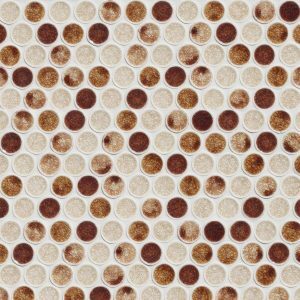 Hexagon 2″ mosaic is shown in Nebula alloy, Bronze alloy and Blacksmith alloy glazes.